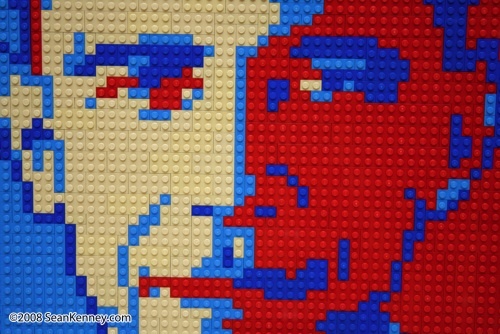 This portrait of Barack Obama was created in the style of artist Shepard Fairey's iconic "Hope" portrait but was made in the likeness of the official portrait of President Barack Obama. 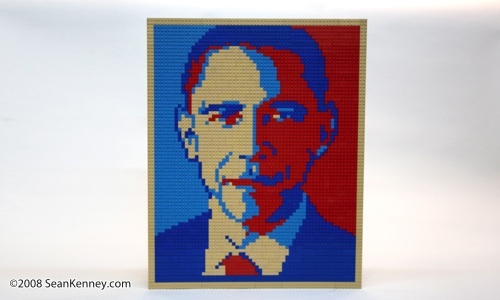 I created this portrait to commemorate Obama's inauguration as the 44th president of the United States on 20-Jan 2009. 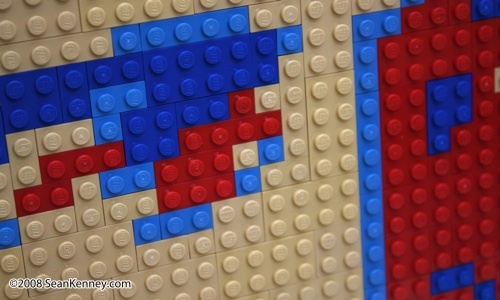 20" x 25" ~ 1,275 LEGO pieces.